The common perception of a Polish attorney is that of a person held in general respect in the community, and the very fact of being in this profession is traditionally perceived as a source of prestige. 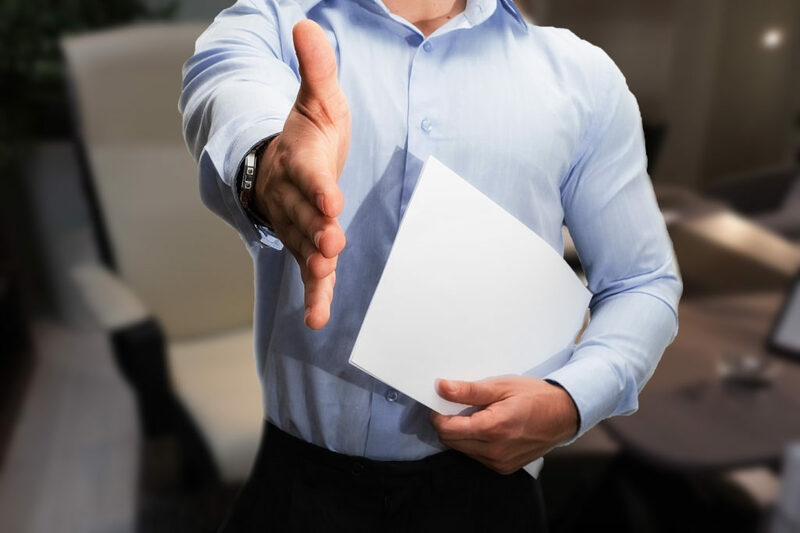 It most likely stems from the not unfounded belief that an attorney is someone who can always be approached for help, even in situations that might, at a first glance, appear hopeless. Of no small significance here is the history of the legal profession in Poland, as even in the communist era attorneys remained faithful to their ideals and the motto of: “remaining faithful to Poland, protecting the civil rights and freedoms, helping those in need”, and protected the accused in political trials pro bono. It is a group of cases most popular among foreign clients. When asking for commercial law advice, the clients wish to know if it is possible for them to form a company or some other type of entity in Poland, and also how much time is required for that, and what the possible obstacles are. A second large group of cases involves pursuing claims related to business transactions between domestic and foreign entities, and the resulting collection of claims. Legal consultations might be required not only after a dispute has arisen, rather, the client’s interests can be protected already at the stage of drawing up of contracts with a business partner, so as to minimise the risk of a dispute. What’s more, not every case has to culminate in a lengthy court proceedings; often the assistance of an attorney facilitates a settlement or makes it possible to find a different amicable resolution. Many people consult with a Polish attorney after they have been given notice, wanting to recover outstanding remuneration (in particular in the case of overtime payment), or because they are bound by a non-competition clause. However, sometimes the assistance of a Polish attorney is needed much earlier, for example when immigrants wish to obtain a work permit, or even to gather all the documents entitling a foreigner to work in Poland. When someone intends to purchase real property in Poland, they have to go to a notary, but if we also want to make sure that the sale agreement protects our interests, we will the need help of a specialist – a Polish attorney. Where the intended purchaser is a foreigner, the assistance of a Polish attorney will be indispensable. The broadly understood civil law covers also inheritance law cases, primarily cases involving ascertainment of inheritance acquisition and inheritance division, as well as legitime cases, in which the role of the attorney is not only to determine the potential circle of heirs, but also to provide assistance in the search for the elements of the estate and in determining the actual will of the decedent. Civil cases include also cases for damages (e.g. demanding damages for loss suffered as a result of a road accident). Although when we think of attorneys, we usually have an image of a lawyer in criminal cases, delivering the closing arguments with great passion, that is only the end result of the entire work done by the attorney, which can start already with providing legal assistance to anyone taken into custody or put in pretrial detention. The scope of rights of a Polish attorney in criminal proceedings is not limited only to the role of a defence counsel; the attorney can also act as a representative of the victim, already at the stage of the prosecutorial proceedings, or as a representative of a subsidiary prosecutor. When filing a subsidiary indictment in cases prosecuted ex officio, the indictment must be drawn up by an attorney or a legal counsel. Even a witness in criminal proceedings can be represented by an attorney, when his or her interests so require. 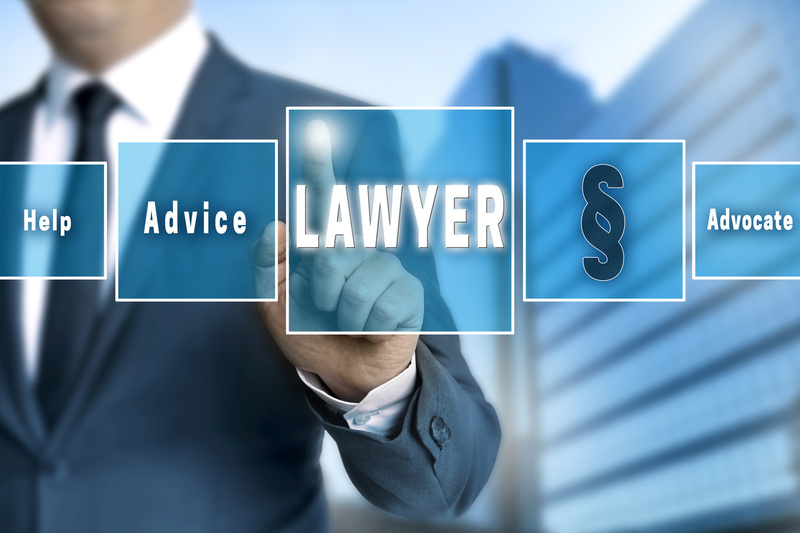 In conclusion, a Polish attorney can help you in a number of issues – both of a business and a private nature. Polish lawyer – who is he? What requirements he has to meet? How polish lawer could help you? Below you will find answers to these and other questions. In Poland, as in other European countries, there are corporations that affiliating people involved in professional legal assistance. There are two corporations, whose members can provide professional legal assistnace: attorneys (in polish: “adwokat”) and solicitor/legal adviser (in polish: radca prawny). According to the regulations, basically there is no major difference between those two corporations, except one- lawyers, unlike solicitors may not be employed under an employment contract. To become a polish lawyer, you have to meet strict requirements. These requirements apply to both: gained legal education and the moral attitude of the future lawyer. Regarding the requirement of legal education, it should be noted, that to become a lawyer is not enough to take arduous and heavy five years of study, but candidate must also complete a three-year application, which consist: theoretical course organized by the Bar , the practice in court and work in patron’s office. In the end candidate must pass the attorney’s professional exam. From this obligation are exempt eg. Judges (after 4 years of practice) and law professors. the presence in offices and courts as an attorney or counsel. Polish lawyers has recently acquired the right to prepare credentials copies of documents for conformity with the original to the extent specified in separate regulations. The certificate should contain the signature of the lawyer, the date and the designation of its preparation, on-demand – also the time to make operations. If the document contains special features (additions, corrections or damage) lawyer stated in the certificate. Previously, such rights had only notaries. Legal aid is provided to wide circle of receivers (virtually for everyone): individuals , business entities and organizational units . Using a polish lawyer service you can rest assured, that everything you told him, he is obliged to keep secret, what’s not so obvious in case of legal assistance provided by unqualified personnel. In addition, The obligation of professional secrecy can not be limited in time. Lawyer has also „extra” rights- during and in connection with the performance of professional duties enjoys legal protection as judge and prosecutor. Each polish lawyer subordinate to the compulsory insurance of civil liability for damage caused, when he is performing his activities, what assures client’s interests, even if even if negligence was committed by a lawyer. Polish lawyer or law office in which a lawyer practices his profession may be a member of an international network of law firms , whose business is the provision of legal assistance. Advocate after the appointment of a professional offices, is able to perform his activities throughout the country and abroad , where this is permitted by local law or international agreements provide for it . If you have any inquiries about polish lawyer services don’t hesitate and send me any question you need to ask. The labour law in Poland takes into account the fact that the current geopolitical situation, as well as the fact that Poland continues to strengthen its position as the most attractive outsourcing location in Europe makes the polish market becoming the target of economic emigration. The available data show that the number of foreigners seeking employment in Poland increases each year. This is a chance for Polish entrepreneurs to gain qualified and talented staff with rich experience. Lawful pursuit of work by a foreigner in Poland according to labour law is connected with the necessity of obtaining a work permit and accomplishing other conditions under the law applicable (Act of 20th April 2004. on employment promotion and labor market institutions and the Act of 15th June 2012. on the effects of delegating work to foreigners residing with violation of regulation in the territory of the Polish Republic). Situations in which foreigners are exempt from the requirement to obtain a work permit in order to legally take up an employment in Poland were also regulated in a labour law (Decree of Minister of Labour and Social Policy of 21st April 2015 on the cases in which, employing a foreigner on the Polish territory is allowed without having to obtain a work permit). In addition, the work must be performed by a foreigner on the basis of an agreement concluded in written form. This obligation applies at the same time, to each type of contract, on the basis of which, the work is performed – independently of whether it would be a contract of employment or other civil contracts such as: contract work, commission or agency contract. Facilitation with regards to the procedures for entrusting the work to foreigners from Belarus, Georgia, Moldova, Russian Federation and Ukraine are also reflected in the absence of registration fee and free publication of the forms required on the website of the Ministry of Labor. Based on the registered “Statement on the intention to entrust work”, it is possible to apply for a foreigner for visa entitling him to reside in Poland. As a rule, issuance of visa is connected with the necessity to cover the proper state fee, (its amount of varies between 0 and 70 euros, depending on the type of visa and nationality of the applicant), however, it does not apply to citizens of Ukraine, for which it is free of charges (on 13th June 2016. Poland and Ukraine signed an agreement on the abolition of fees for issuing national visas, according to which fees for issuing national visas for Ukrainian citizens who intend to stay on the Polish territory for more than three months and less than one year, the visa type D, are abolished). There are two types of polish company registers constituting sources of the information on the entities engaged in economic activities. The first one – for the individuals conducting the sole proprietorship – called (in short) CEIDG and the second one – providing information about companies, foundations, associations and other entities. When it comes to the individuals – under the law applicable – they can only undertake the legal activities after the entry into CEIDG (Central Register and Information on Economic Activity) which mean that the registration is obligatory. Information on the removal from the registry. In accordance to the Act from July 2nd 2004 on the Freedom of Economic Activity individuals can register their business activity online. All the submits required are available online the website of the CEIDG Registry (https://prod.ceidg.gov.pl). All activities related to the entry in the Central Register and Information on Economic Activity (CEIDG) (led by the Minister of Development) are FREE OF CHARGES. 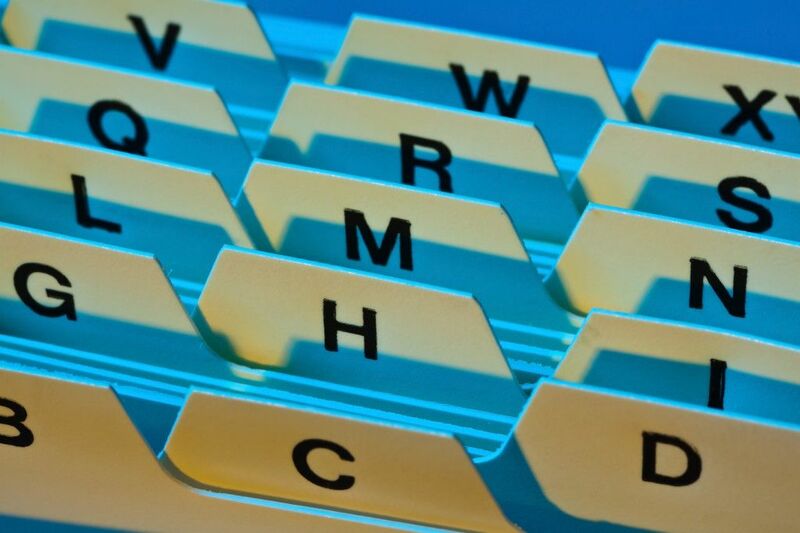 The Registry is public which means that everyone has the right to access the data contained in the Register through the authority called Central Information – that provides (online) information on the entities registered in the Register and a list of documents contained in the catalogue (information are free of charges). An excerpt from the Register downloaded online (at: https://ems.ms.gov.pl/krs/wyszukiwaniepodmiotu) holds the same legal power as the documents issued by the Central Information – if they have features allowing to verify the data contained in the Register. It is presumed that the data entered in the Register are true. (if the data entered in the Register are contrary to the ones included in the application for the entry, the entity cannot invoke unconformity of the data in dealings with the third party acting in good faith in case the request for correction, addition or deletion of the data had not been immediately submitted by the entity). Information about the initiation and termination of restructuring and bankruptcy proceedings. If you need any help with polish company register don’t hesitate to contact and ask a question. 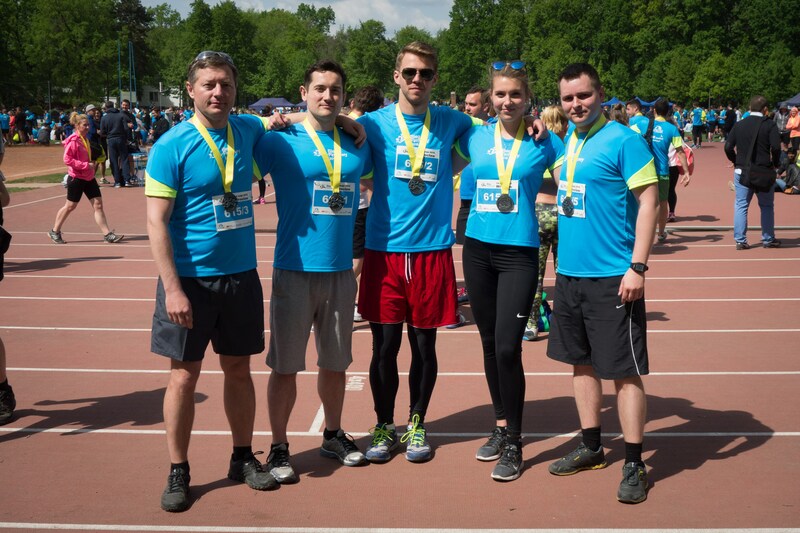 This year our law firm for the first time has taken part in annual event organized in Wrocław and called „Bieg firmowy” (companies run) – which main idea is to promote healthy live style and charity work. Great atmosphere of healthy competition, people with the positive attitude toward life (and themselves), good organisation of the event – all of it together has ensured that we had an enjoyable time and with no doubts will take part in this run next year.